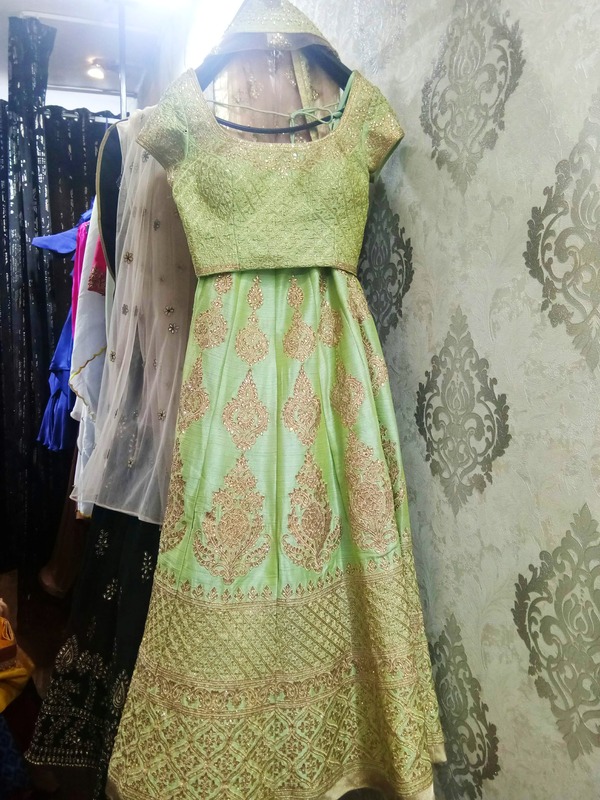 Tired of the usual lehengas and want to wear something different for a wedding or during an occasion? We found you a designer in Juhu who customises them for you, and they're too gorgeous to not be worn. What attracted us was a pastel green suit, with heavy zari work in it, and we couldn't help but walk in. And by the time we were inside, we knew we're hooked. Manisha, a young fashion designer started her label called Pitambara very recently, and her forte is making flowing and elegant Shararas, with kurtas in bright yellows and pinks. You've probably seen Kareena Kapoor rocking one in an Agent Vinod song, and when you see her designs, you know that you can trust her to look quite similar to how Kareena looked in the song. And when the handwoven work is so intricate and brilliant, the pricing is definitely going to be on the higher side. You will get her Sharara-Suits between INR 10,000 to INR 25,000. She also sells gowns and lehengas. But you must go for the best, we'd say.